Even with all my power, that's impossible. You'll need to make another wish. The knicks won't hire Thibs to coach?? I might see if I can add some more interesting visuals when I do future snippets. I do want to keep doing more video content though, proper video content that is. Episode #148 of the NLSC Podcast is out now! In our first show for March 2016, Arcane and I discuss an important fix in last week's roster update for NBA Live 16, cheaters in the NBA 2K16 Road To The Finals tournament, Stephen Curry's big week, and more. We're pleased to say that the issue with dunk packages that we discussed last week has been resolved in the latest roster update for NBA Live 16. The Week 3 winners of the NBA 2K16 Road To The Finals tournament on Xbox One have been disqualified for game fixing. We don't feel sorry for them. "Buyout season" has a few players changing teams ahead of the Playoffs push. We recap the Miami Heat's impressive performance against the Chicago Bulls, in which Hassan Whiteside continued his strong play off the bench. Episode #148 of the NLSC Podcast wraps up with this week's Bold Predictions. Looking for your weekly fix of basketball video game discussion? Tune in to Episode #149 of the NLSC Podcast, in which Arcane and I discuss the latest news and updates for NBA Live and NBA 2K, what we've been up to in basketball gaming, the past week in NBA action, and more, including your mailbag submissions! We reminisce about the days when there were more than two basketball games on the market, and discuss the kind of releases we'd like to see. Moving on to this week's NBA discussion, we chat about Stephen Curry and the Warriors, Russell Westbrook's big triple double, dysfunction in Cleveland, a new home for Dwight Howard, and a couple of surprising teams. What do we think of Ben Simmons' potential $100 million shoe deal? What will he mean for Australian basketball? Tipping things off with some Wishlist talk, we ask ourselves: aside from improved gameplay, what's the one enhancement that would keep us playing NBA Live 17? Rocket League is set to receive a basketball mode called Hoops, which we're both looking forward to. Could Phil Jackson return to the sidelines, only coaching the New York Knicks during home games? It seems Carmelo Anthony isn't a fan of the idea. Ben Simmons has been dethroned in the mock draft over at Draft Express. He's also been hit with a couple of unflattering comparisons. just in time for my weekly drive going home. Good episode guys as always. I think this is why I don't play my career anymore, I've had many attempts but as a Guard the "stealing assists" is annoying when you pass to the man under the basket and he kicks it out for 3. The Phil Jackson coaching the Lakers rumour was true back then he had being rumoured to of asked that he only coached home games due to not being able to fly which the Lakers were not on board with but I think if he wants to do that in NY he's more than welcome too. There were games in my NBA 2K13 MyCAREER where I should've broken the assists record, if not for those ill-advised kick outs. Here is Episode #151 of the NLSC Podcast, right on schedule! In this week's show, Arcane and I discuss some new content in Ultimate Team, reflect on the NBA Live 17 and NBA 2K17 Wishlists so far, talk about some controversy with NBA 2K on Twitter, and look back on the past week in the NBA. In sad news, NBA on TNT's Craig Sager has announced his cancer is no longer in remission. In this week's Bold Predictions...Andrew is finally on the board! Will this be the beginning of a new streak? It's April 1st, but no fooling: we have a new episode of the NLSC Podcast out today! Episode #152 sees us return to a three man booth for the first time in a long while, as Kenny joins Arcane and I to discuss NBA Live, NBA 2K, and recent events in the real NBA. Since it's Kenny's first time on the NLSC Podcast, he provides some thoughts on what he'd like to see get better in NBA 2K, what he's been enjoying in NBA 2K16, and what would draw him back to NBA Live. Recently, there's been talk of cross-platform play between the PlayStation 4 and Xbox One. 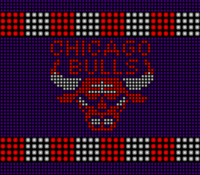 We discuss what that would mean for basketball gaming, should it ever come to fruition. Rocket League's basketball-themed add-on Hoops is set to arrive some time in April, free of charge. Turning our attention to real basketball, we chat about the Golden State Warriors closing in on the Chicago Bulls' record, the drama with D'Angelo Russell, and the retirement of one of Australia's best players. We wrap up Episode #152 of the NLSC Podcast with this week's Bold Predictions, as Andrew seeks a second point, Arcane seeks to stay above .500, and Kenny seeks to get on the board out of the gate. We'll probably give that a mention in this week's show. Welcome to Episode #154 of the NLSC Podcast! Arcane and I certainly have a bit to talk about this week with the end of the 2016 regular season, the Playoffs looming, and both Kobe Bryant and the Golden State Warriors making history. Also, some very early news about the NBA 2K17 cover and pre-order bonuses. 2K have announced that Kobe Bryant will appear on the cover of a special Legend Edition of NBA 2K17. Have they also hinted at another possible cover player for this year? 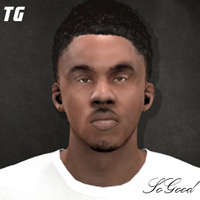 We discuss a reel of NBA Live 16 player faces that a graphic designer posted on YouTube. In Our Week in Basketball Gaming: Arcane's MyPLAYER gets onto 2K TV in MyCAREER, while Andrew wonders what to play next. Kobe Bryant has gone out in style, scoring 60 points in his final game. We reflect a little on the Black Mamba's legendary career. The Golden State Warriors become the first team to win 73 games, beating the Chicago Bulls' twenty year old record. We congratulate them, but grumble a little about some vocal (and hypocritical) fanboys. With the 2016 regular season in the books, we look ahead to the Playoffs and make our first round predictions. Speaking of which, we end Episode #154 of the NLSC Podcast with this week's Bold Predictions. After getting our picks right last week, can we both get a streak going as we head into the postseason? We open Episode #155 with a look at some of the challenges that face PC basketball gaming. Of course, we'd still like to see NBA Live return to the PC, and a more modder-friendly NBA 2K. For some reason, NBA 2K16 on Steam has been tagged as a "Psychological Horror" title. Go figure. There hasn't been much in the way of gear, shoe, and accessory updates in LIVE Pro-Am. Do we expect the content updates to improve in NBA Live 17? Week 1 of the 2016 NBA Playoffs is in the books, and we have to admit, we're not as excited for the postseason as we'd like to be. This week's Bold Predictions feature a very bold prediction indeed.